Pea shoots have long been prominent in Asian cuisine, but they're one of the newer ingredients showing up in U.S. farmer's markets and CSA boxes. Their soft leaves, curly-cue tendrils and watery stems hold the promise of spring peas to come. But even better than that, they hold the flavor of them, too. One of the reasons they're so appealing to gardeners and farmers is that they offer the flavor of the pea, but can be harvested in a quarter of the time. And one of the reasons home cooks are taking to them (apart from their flavor) is because they're rich in nutrients. But how do you cook with something that quite literally looks like a plant (more so than any other produce you may have)? Turns out, you can very easily just swap them in for any soft, leafy green in a recipe. Much like watercress, the stems are edible -- and the tendrils are just delicious. It cooks very similar to baby spinach and is versatile, too. You can eat pea shoots raw in a fresh salad; they can take the place of the more traditional lettuce or simply enhance it with pea shoot's spring flavor. You can stir fry them with sesame oil and garlic, as has long been done in Asian cooking. These greens can also brighten up a spring pasta dish, contributing a fresh, soft taste. 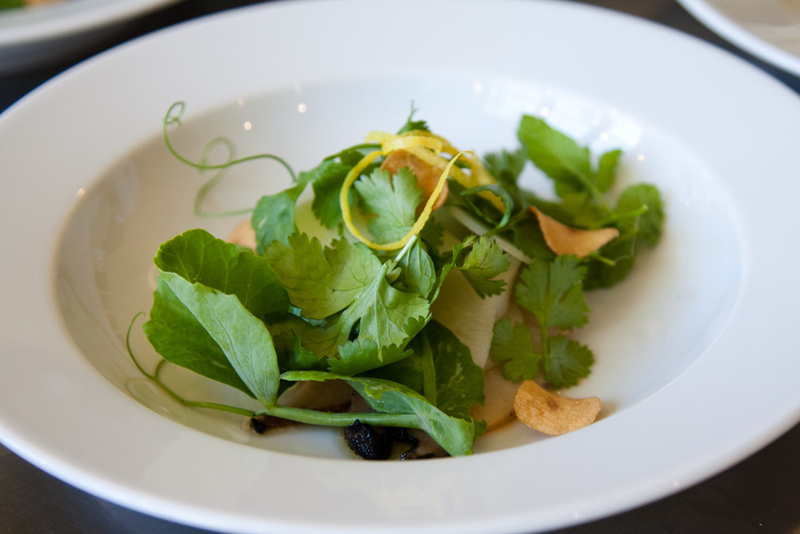 To prepare and store pea shoots, there are just a couple of things to know. Since they are a delicate green, it's best to eat them within one to two days of purchase. They should be stored in the fridge like you would lettuce; and when ready to eat, coarse or yellow stems should be removed. Do you have recipes for pea shoots? Leave us a comment below.